We were out on Box Hill in Surrey last week with the good people of the National Trust picking juniper berries for our gin. The best day was Wednesday, a beautiful summer day, not bad for the end of October. 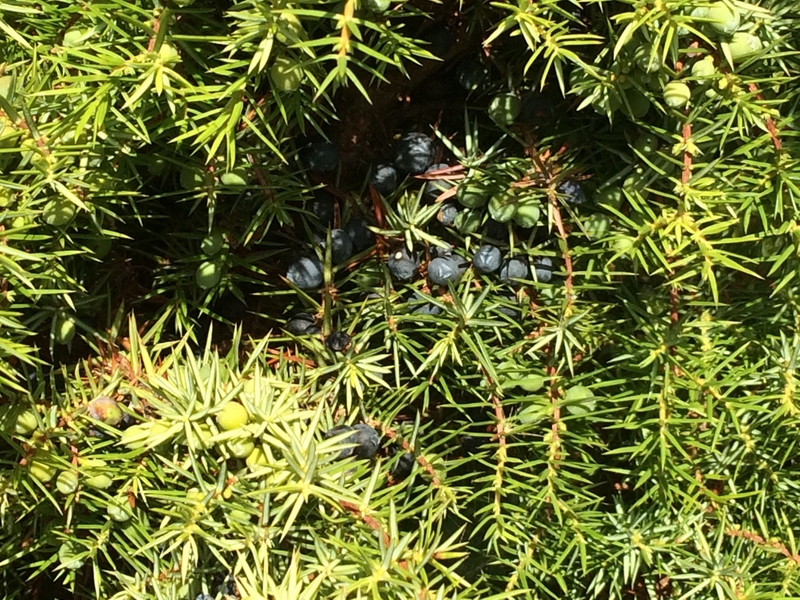 The juniper is in pretty good shape with a decent crop. Juniper berries take two years to 'ripen' and the one-year old green berries on the juniper look fantastic at the moment, being very plump and abundant, so next year should be an excellent crop.